I recently had the opportunity to beta read a soon to be released novel that dives head first into some pretty uncomfortable territory. I’d be lying if I didn’t admit that I walked away from this read just a bit disturbed. Why, you might ask? Because I could see this happening. Maybe not exactly as laid out in TW Brown’s story, Uncivil War, but because it seems that every day there is something new in the media that reminds us we are sitting on a large pile of dry tinder and there are others marching about striking matches. It seems that every day there is another news story of a police officer shooting a young black man or videos uploaded to social media of young people randomly attacking somebody who is of a different race or…just the tensions that have come to a head lately. If it isn’t groups defending the historical value of the Confederate flag against those who see it as a symbol of hate, or people protesting the brutality of police officers, or others stomping on (or worse, wiping their rears with) the American Flag, it is obvious that people are frustrated, angry and looking for ways to somehow strike back at a system that they feel has failed them. The purpose of this blog post isn’t to bring all of these issues up and spread them on the table for debate. It is simply to paint a picture of the tensions that gave rise to the story. 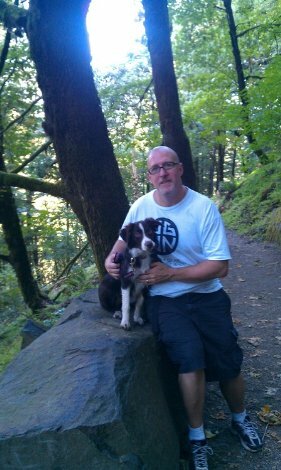 A story that, for the most part, struck a nerve for me as a reader. Coming from a horror writer who has specialized in zombies, Brown paints a portrait with vivid realism. One can feel the tensions as they read this fictional piece and will come away wondering if this is indeed the path we are headed down. I’ve actually had to edit this post numerous times. With the subject matter, it’s too easy to fall into the trap of discussing the issues and not the story. You can’t help but be pulled into this story. The characters are well developed, emotional and reactive. There are divisions within groups, back biting, fighting…just like real people. It’s easy to imagine this tale being ripped from the headlines and put into story form. While this story may not be for everyone, be warned that the language is ‘rough’. It can read as harsh at times. To me, as a reader, it only added realism to the story. I fear that Brown may be labeled as racist by some, but the story doesn’t read that way. Perhaps time will tell if he ought not be called prophet instead. 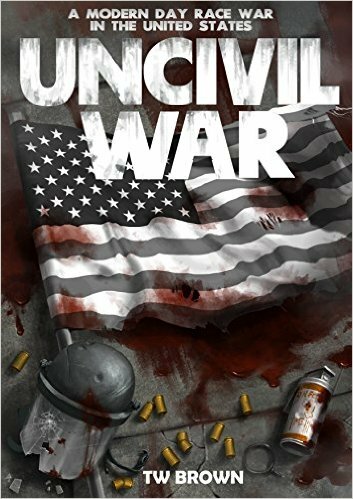 To get your own copy of Uncivil War, click on the link below and get it preordered.